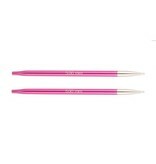 Knitter's Pride Zing Special Interchangeable Tips are the perfect size for all your hat knitting needles. These tips measure 4 inches in length and work wonderfully when paired with all sizes of the Knitter's Pride Interchangeable Cords. Made from lightweight metal, each needle size is identified by its unique metallic color that has been assigned to it. 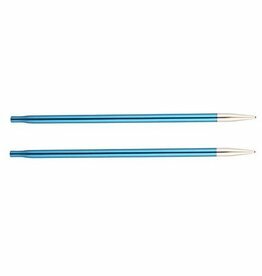 Zing needles are perfect for both the beginner and advanced knitter. 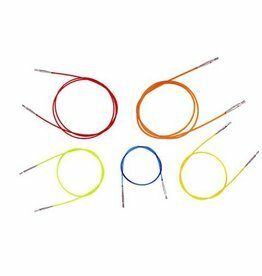 These flexible cords work with all styles of Knitter's Pride interchangeable knitting needles. Each cord size is a different color for easy size recognition. 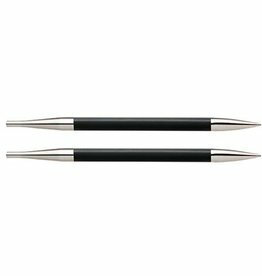 Karbonz by Knitter's Pride combine a high-tech carbon fiber base with electroplated brass tip for a knitting experience like no other! 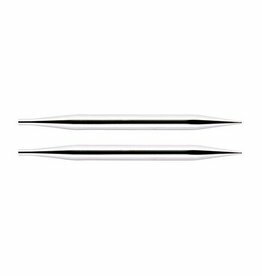 The Nova Platina Interchangeable Needle Tips measure 5 inches in length and are made from brass plated in chrome for a shiny smooth finish. 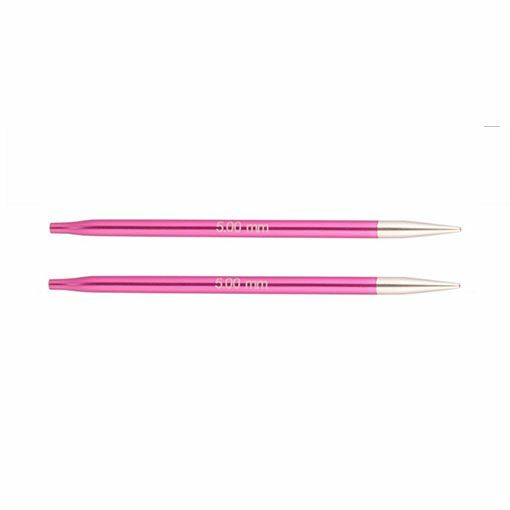 Made from lightweight metal, the Knitter's Pride Zing Interchangeable Needle Tips offer the ultimate knitting experience with a smooth join and pointy tips.